At five a.m. my contractions suddenly started. They didn’t come softly or give me much time to ease into them. I had left a few things to the last minute because I had long labours with my other two. I sat at the kitchen table writing a list of instructions about the kids in between contractions, while the rest of the family slept. Before I went into labour the Lord continued to speak to me the song “Steady Heart”, and I had planned to listen to that album while I was in labour. Things started progressing quicker than expected, and we weren’t able to wait for my in-laws to arrive, we had to call a friend so we could leave. I climbed in the van and fell on my hands and knees. Tears started pouring down my face. I didn’t think I would make it to the hospital. We had an hour and a half drive, and these contractions were coming so strong and so close together. My wonderful husband encouraged me that I COULD do it, and turned on my previously selected Steffany Gretzinger album (The Undoing). God is so good in the midst of pain and fear. Each song that came in just spoke such peace to my soul, and her soothing voice helped me breathe down each contraction. The line “sometimes it’s painful to be brave, to look fear in the face and know your name”, came on and I felt this inner strength to be brave and take on this labour and delivery with everything I had. Such peace filled the van, I will always remember it. We did make it to the hospital, met our doula (who I could not have imagined getting through that intensity without) and got settled into a room. 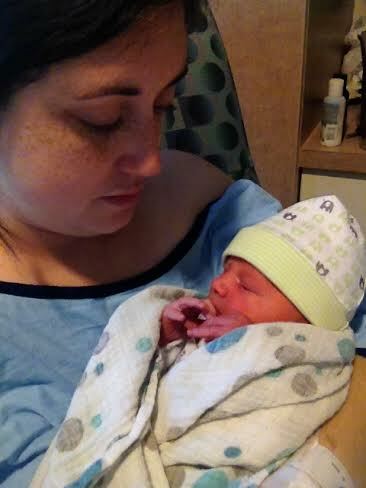 Labour progressed very quickly (for me), and Eli was born with a total of eleven hours in labour. Everything went smoothly, until a couple of hours after delivery. They told me to try to go pee, so I went into the washroom and suddenly lost what was to me a terrifying amount of blood. 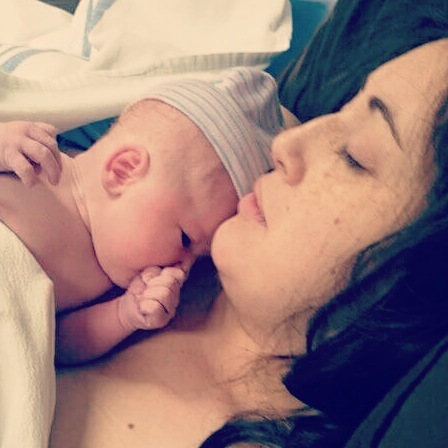 Being sore, exhausted and emotional from just giving birth, I felt so panicked. Could I live through losing that much blood? I kept losing a lot of blood and massive clots. A team of doctors and nurses came and worked quickly to get the situation under control. I am so incredibly thankful for their calming presence, when in reality Andrew and I were so scared. Needless to say, that little incident slowed my recovery quite a bit, but God’s hand was totally in it all. I had been miraculously fit in for an iron infusion right before going into labour, which stopped me from needing a blood transfusion. Having a baby is always a very spiritual event for me, as much as that might sound strange. This time was no exception. Seeing the Lord hold fast to his promises to me is alway incredible. I had my husband pray this verse over me in labour, and I’ve claimed it in each stage, through another round of mastitis, joint pain and exhaustion. I’ve completed 38 weeks of my third pregnancy. I honestly can’t believe it. 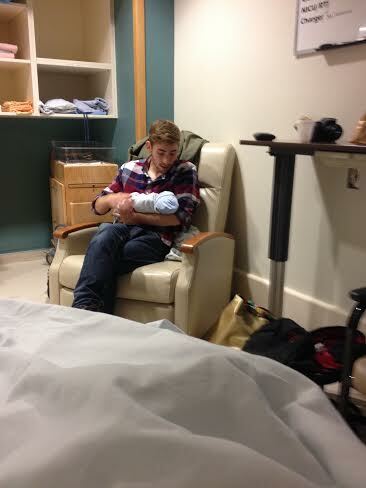 After giving birth to Caleb I didn’t believe I had it in me to carry and deliver any more children. As you’ve joined in my journey over the last three years and read my struggles, fears and lessons learned from motherhood, you know that God has done so much in my heart through this whole experience. I stand yet again at the point of bringing another life into the world, and all the unknowns that it holds. I recognize more than ever what a gift and privilege it is for me to have had the ability to do this. 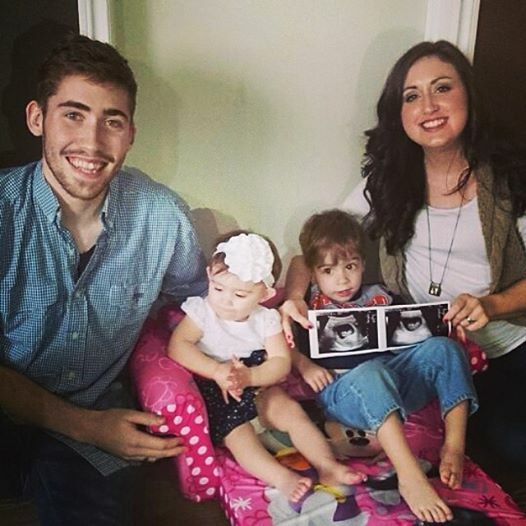 So many people these days struggle to have babies, and my heart breaks for them. While my body feels so done with being a home for this squirmy child, I get waves of fear that sweep over me to do it all over again. What if this one is colicky too? What if I don’t bounce back quickly from delivery? We’re already overwhelmed with two some days, how will we handle three? And while there are no guaranteed answers to these questions, the Lord continues to faithfully speak peace to my soul. Just like he gave me a verse and song for Amayah’s birth, He’s been giving me treasures to hold on to this time. Like this song, Steady Heart. Stephanie’s lyrics speak such comfort to me. I can’t see what’s in front of me. Still I will trust you. For both my pervious births I’ve laboured through the night, and at dawn my baby is born. The words that talk about the night being long and the Lord not leaving, just cements courage into my being. Looking toward birth number three, I can’t wait to see what the Lord shows me, and how he reveals his heart of love to us as we see our baby boy or girl for the very first time. Whatever mountain you’re facing, I pray the Lord grants you this steady heart. Baby, I can’t wait to hold you. (Photo Credit: My amazing doula Corina). This was taken moments after Amayah was born. This memory inspires me that it’s more than worth it to do it all again. Nine days out of ten I’m barely making it to bedtime. Things have felt really challenging with the kids for, well, I guess a year. We just celebrated Amayah’s first birthday, which felt like more of a celebration that we actually lived through the first year of her life. 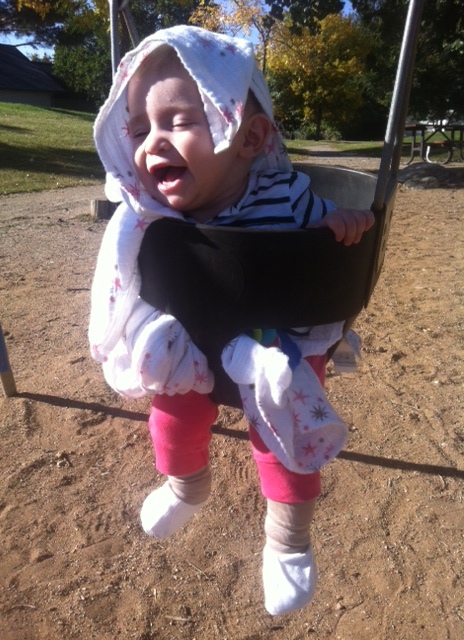 Seems like the struggle of parenthood is outweighing the joys. Everyday is a constant battle of wills. And we’re expecting again, and the thought of another baby can send my anxiety through the roof when the days feel extra hard. Too often we have already stopped by the emergency room, destroyed an expensive item, shattered one of my willow tree angels and had a good many tantrums, all before 8 a.m. This evening my son ran out of the house in his socks and no jacket, and got in the car. I was furious. I had already told him what felt like a million times to get his boots on and find a rain coat. Baby girl started screaming, and I felt exasperated. That really irritated me. No I’m not going to miss kids who scream and don’t listen. Then he stopped and told me to look out the window. 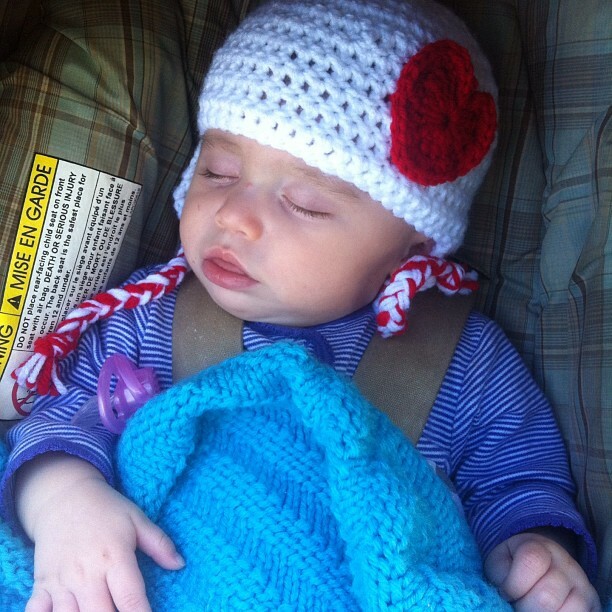 There was our son sitting in the drivers seat, dreaming he was out on the open road. Yeah I guess, I’ll miss that sight, I resigned. We got in the car and listened to that song as our kids screamed all the way across town (they hate the car), and both got chocked up because honestly…that song is our life. We’ve had a lot of things happen in our almost four years of marriage, and I’ve said many times I hope it slows down. It’s moments like those when things do slow down, for a second, and you remember not to wish away this stage, because we already miss the last one. And I really am thankful for my kids. Including the bean in my belly. We’re four days away from dedicating our angel girl Amayah Love, or sometimes called Mayah Lovely, to the Lord. Our journey with her so far has been a very special one and something I am already so thankful for, though it started out a little rough. 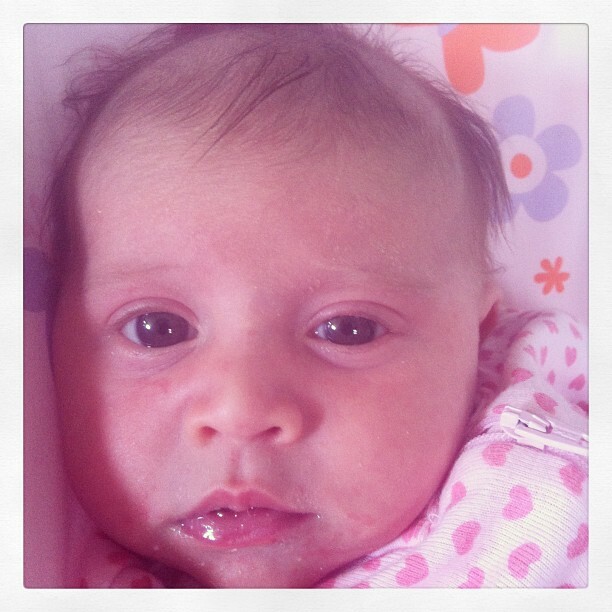 Two months ago I wrote this post talking about her crying fits and possible colic. I was so on the fence with depression. My husband confronted me for the first time asking if I was as depressed as I seemed to him. I didn’t realize how down I was. I thought I was managing ok, but crying all the time and snapping constantly at everyone wasn’t, and isn’t, who I am. The next day we had supper with some friends who has just come back from California. We were so excited to see them. Amayah cried through the whole thing. We took turns bouncing her while eating, and she still cried. We got the kids to bed and sat down with our friends, ready to finally catch up, but my emotions started to overflow. Everything felt so disappointing. The couple laid hands on us that night and prayed against an oppression or depression that might be trying to invade our home. Then they prayed over Amayah, and her digestive system and asked God to move powerfully on her behalf. Words of hope and life were spoken that night and I felt more at peace and full of God’s love than I had since before my second birth. The next morning we got up with our girl and she didn’t scream. She didn’t need to constantly be held. For a moment, she almost seemed content. From that day onward we only saw improvement with her. I’ve also only seen improvement in myself. That cloud that I felt like I couldn’t escape, dissipated and the light of the Son started to shine down on me. So this is my public thanks to God after you’ve all heard the negative. He gets the glory in sickness and health, in crying and contentment. It’s all for Him. I’m so excited to stand before our church family on Sunday and commit to raising Amayah in the way of the Lord. I’ve already made so many mistakes with her, and her brother, but at the end of the day I’m committed to starting over and refocusing on Jesus Christ again. It’s never too late to dedicate yourself and your child to the Lord. He is always waiting for the opportunity to strengthen and encourage you. We’re going to have a party after church because we can’t even begin to express how outrageously thankful we are that our yummy little pumpkin princess was added to our family. She has already started shaping our character and improving our lives. We’re pretty crazy about her. This time around has been a much more relaxed and enjoyable experience. My baby blues from my first birth and my uncertainty as a new mom, is starting to become a positive memory as I see how much I grew from that. 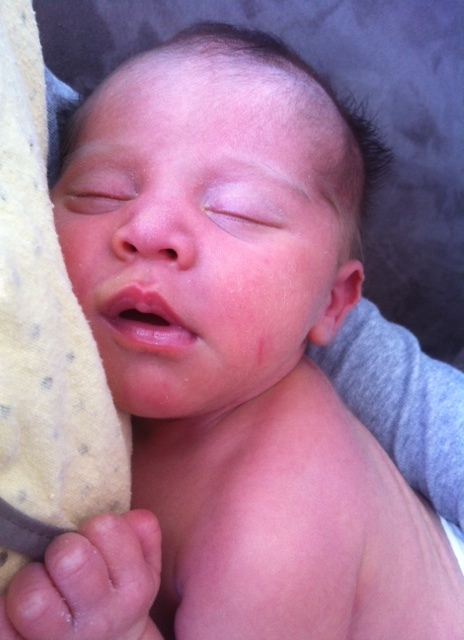 From diaper rashes, burping, and breastfeeding to lack of sleep and mysterious cries, it all seems much less daunting. This is specifically to encourage all my first time mom readers who I have talked with over the last year and a half…you are growing as a person and a mom! I shocked myself by telling my husband that he should go home to be with Caleb on my first night with Amayah in the hospital. There would not have been a chance of Andrew leaving me the first time as I cried the whole night! Baby girl did cry most of her first and second night (just like her brother), but through praying for strength and reminding myself of how short a season this is, we made it through with no tears and little anxiety. 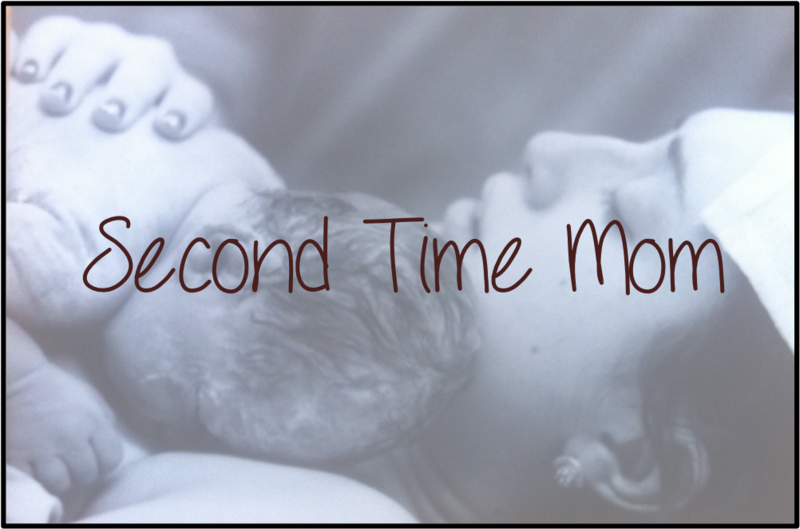 If one thing did surprise me about the second time birth experience, it was the after pains. They were extremely overwhelming for me, and on the day they peaked I felt like I was in labour all over again. I was very thankful to still have my husband at home to help with the two kids and be emotionally supportive to me. But just as quickly as they came, so they left again, and that’s already more than a week ago that they vanished. Now when it comes to my beloved firstborn, he is still stretching me everyday! I feel just as uncertain with him right now as I did when he was a newborn. 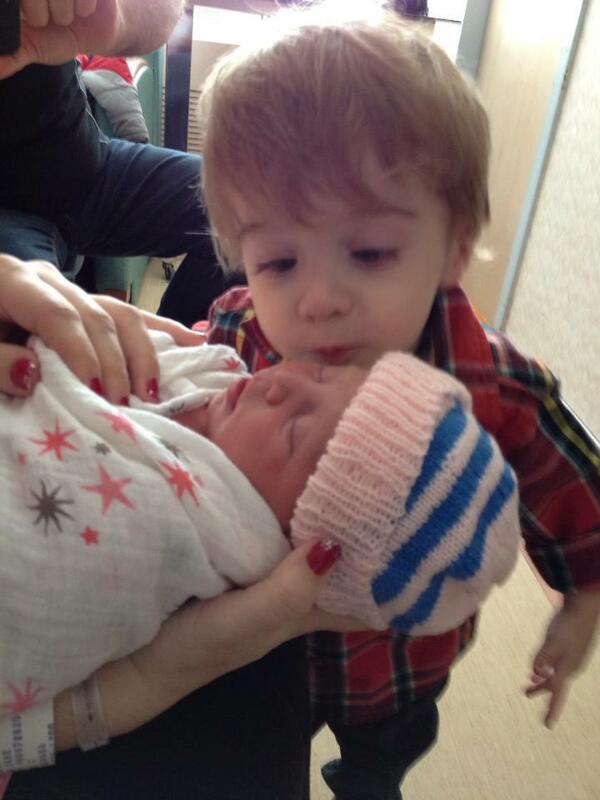 The poor kid has struggled with his new little sister. He swings from smothering her with love and kisses, to smacking her in the head. I look at this picture to remind myself that there is hope for them to get along eventually! With Caleb I have found myself swinging from being furious at him for trying to hurt his sister, to feeling terrible that he has to go through this life transition. It has created lots of opportunities for me to explain to Caleb about expressing his feelings. The biggest breakthrough I have seen with him is his ability to simply tell me when he needs a hug. He’ll come reach up to me and say “hug mama”, and usually a meltdown over his sister is avoided. This verse has been comforting to me during this transition. I know the Lord is always with me. I will not be shaken, for he is right beside me. No wonder my heart is glad, and I rejoice. My body rests in safety. This fairly positive account sums up my first ten days. In future posts I will talk about baby blues the second time, which I experienced Day 11 onward from time to time, as well as my birth experience!